Lots of things are awesome when you’re young. And they’re huge. At least to me they were. One time when I was four, I laid in the grass in the front yard and stared at the blue sky, just because of its incomprehensible size. Sometimes I went out to the field with my dad on a clear night to look at the constellations, many of which I knew by name. When I first saw the Green Bank telescopes as a five year old, it felt like I was like staring at Titans made out of metal. I carried the memory of it with me for many years, and finally came back with my parents and nephew John last summer. 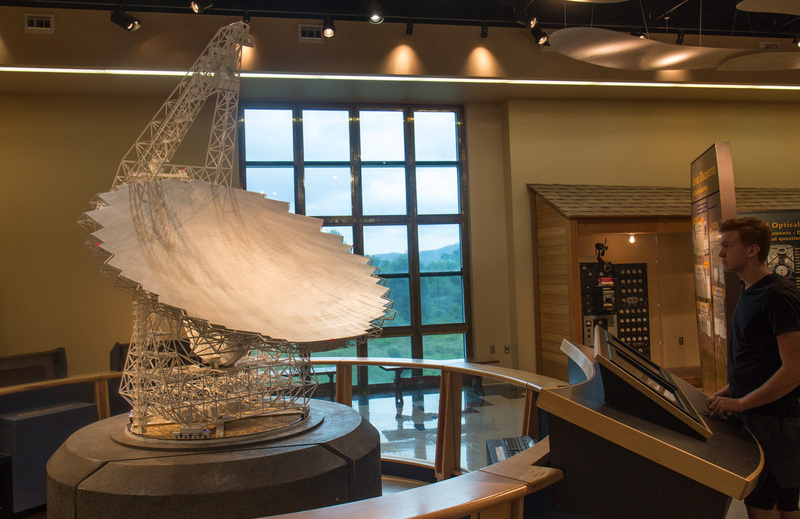 Situated in the little town of Green Bank, West Virginia, the observatory is home to several large radio telescopes – most notably the Green Bank Telescope, the largest of its kind in the world. Scientists have worked at this observatory since the 1950s, reading radio signals from far off astronomical objects in our galaxy, and using the data to learn more about our universe than a standard telescope can measure. They regularly offer tours of the Green Bank and other telescopes at the facility. For the first half of the tour, they sat us in an auditorium for a short video and presentation. They explained why there are no cellphone towers in the area, and why electrics aren’t allowed past the gate. Any kind of electric signal or operation will skew the results from the telescopes. All battery powered cameras and cellphones had to be turned off once we crossed the perimeter. If I knew that, I would have bought a disposable camera. This shot from outside the gate will have to do. We got on a bus and drove into the installation. There were several smaller telescopes that our guide pointed out. 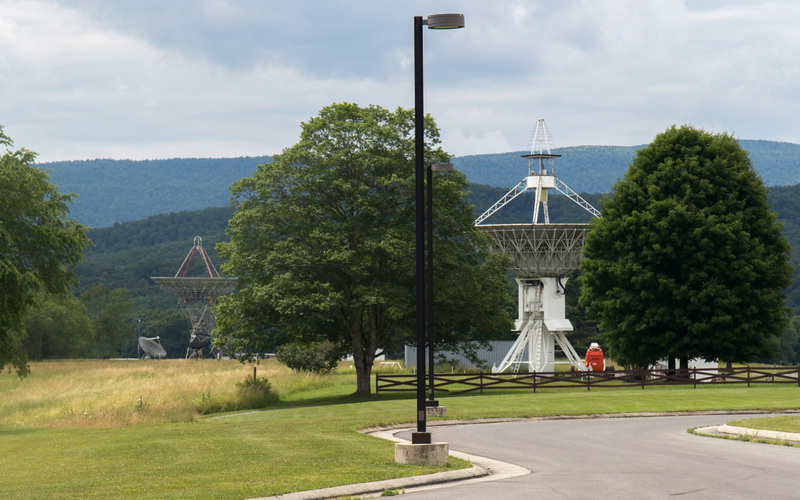 When we got to the Green Bank Telescope, it towered over us at 485 feet. I couldn’t use my camera out there, but they did let me use it in the science center later. In this shot, John is operating the smaller replica. 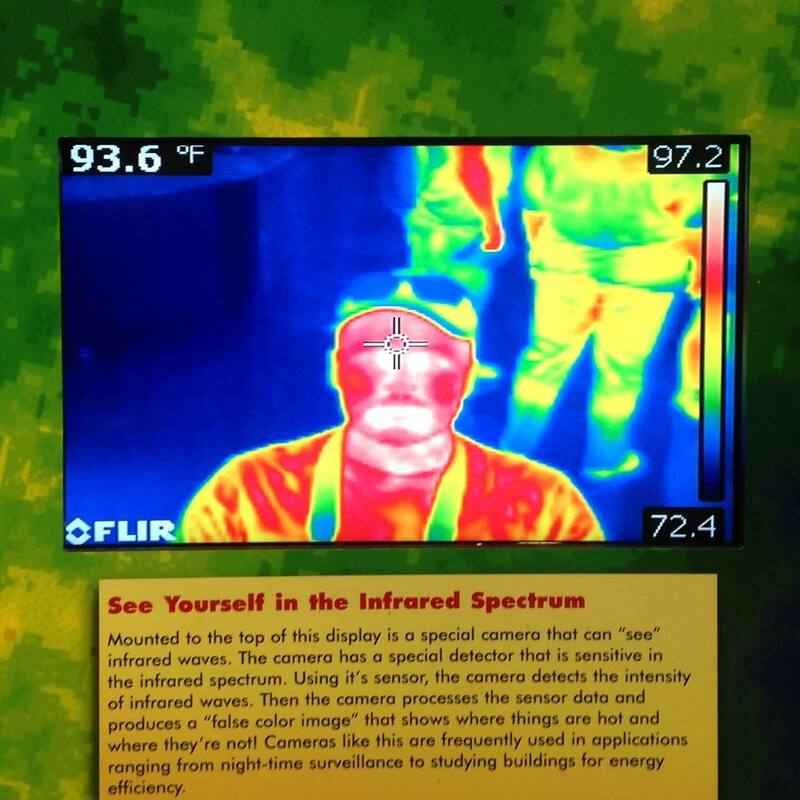 I was also obliged to take an infrared selfie before we left. You’re welcome. 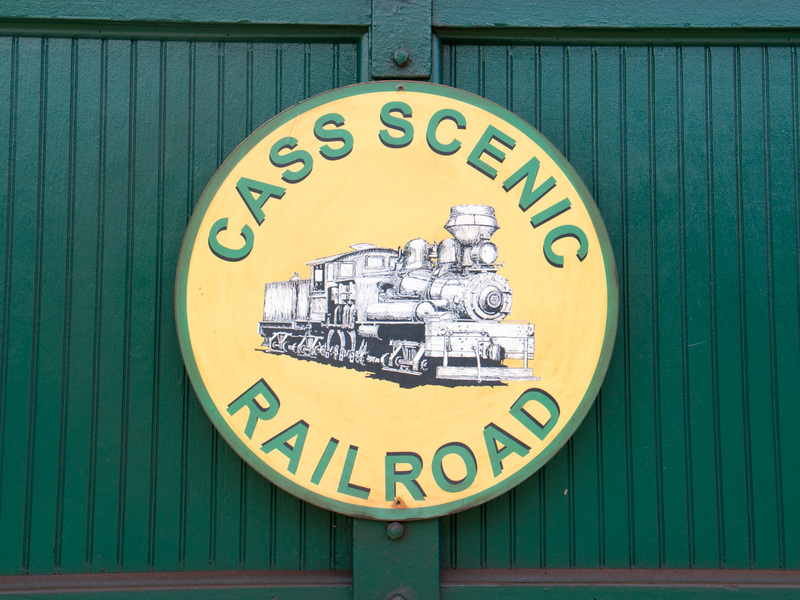 We left the observatory and drove for a few miles to the town of Cass, where we checked in at a lodge across the street from the Cass Scenic Railroad. Before I was interested in outer space, I was interested in trains. When you’re four, trains are just as cool as video games. 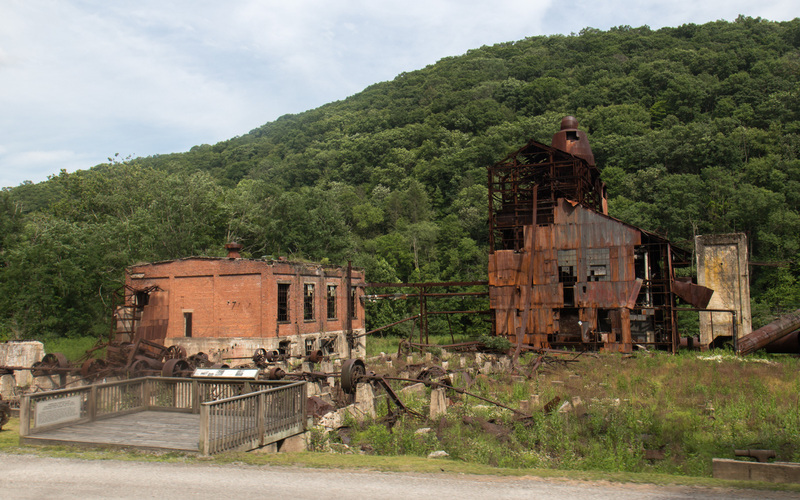 Around then, my parents took me here and we went for a ride on the coal fired train up the mountainside. It made me want to be an engineer when I grow up. 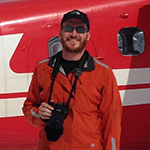 I turned out to be a different kind of engineer, but the memory stayed. Finally this summer, we came back to ride it again. But first, John and I did some exploring. Cass is at the north terminus of the Greenbrier River Trail, which I had done two summers ago on a bike. 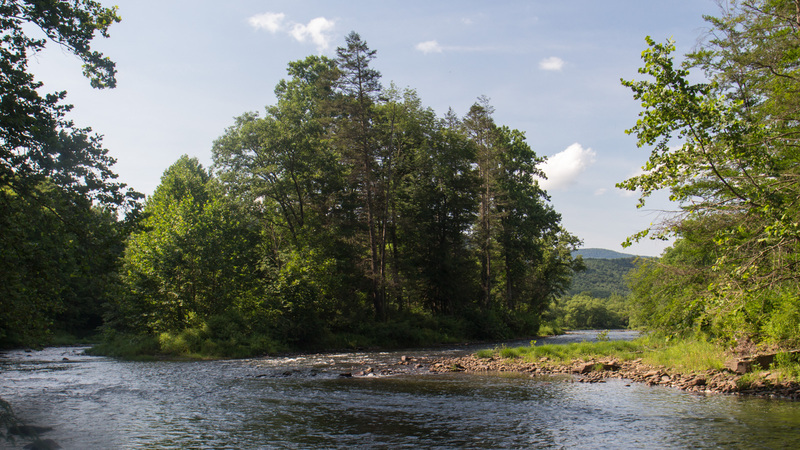 We hiked and swam around in the Greenbrier, yet another river I would like to float sometime. The levels were bony and low, but looked runnable. 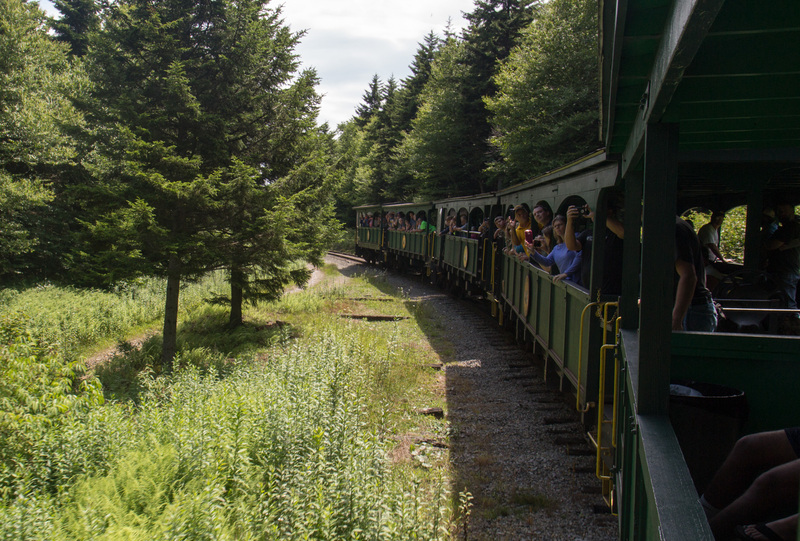 The train left the next morning on a three hour climb to the Bald Knob Overlook. 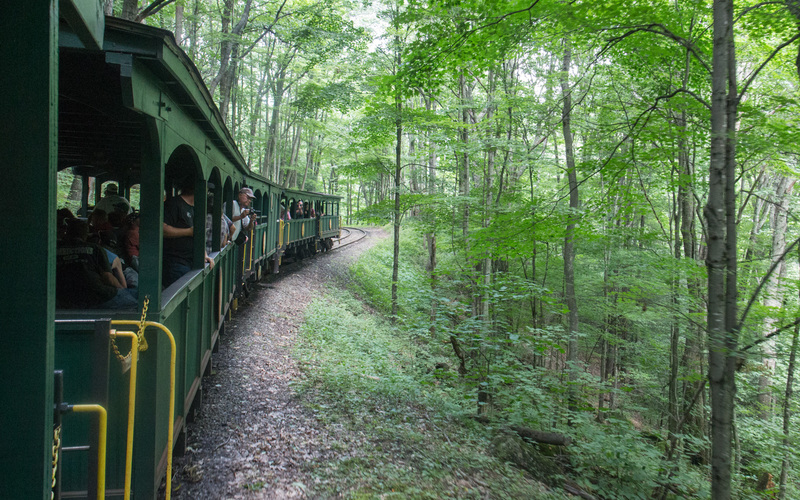 An announcer narrated as the little train made a hard climb up the mountain grades. We were surrounded in forests for the first hour, but soon went along the ridgeside with many breaks in the trees, revealing higher mountains. Hazy ridges appeared beneath the lazy midday clouds. 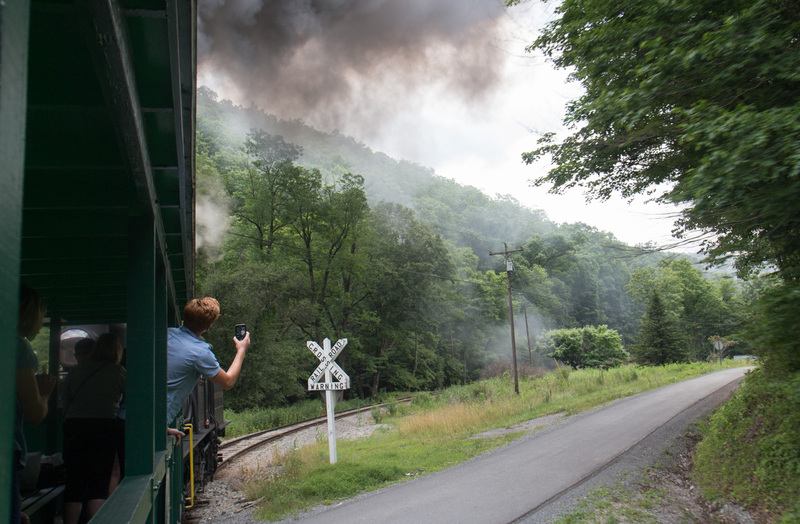 It was West Virginia, wild and wonderful. There was one last one last climb up a 12% grade before we reached a big clearing and the platform at Bald Knob Overlook. 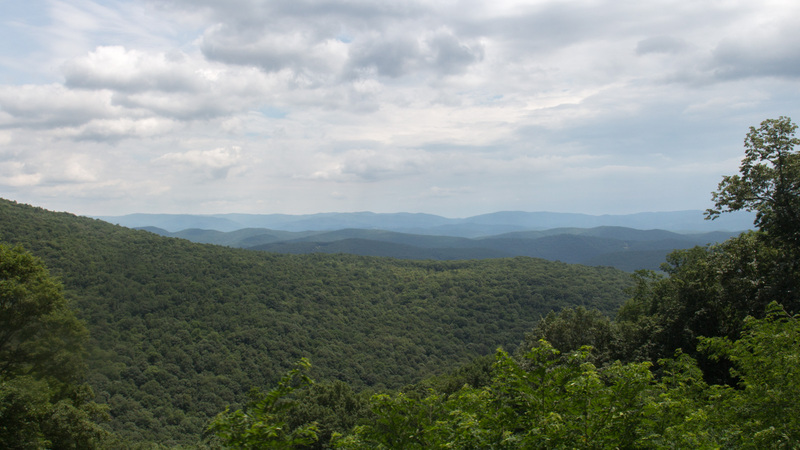 Here, the panorama reveals the east ridgelines from the top of the Allegheny Front. 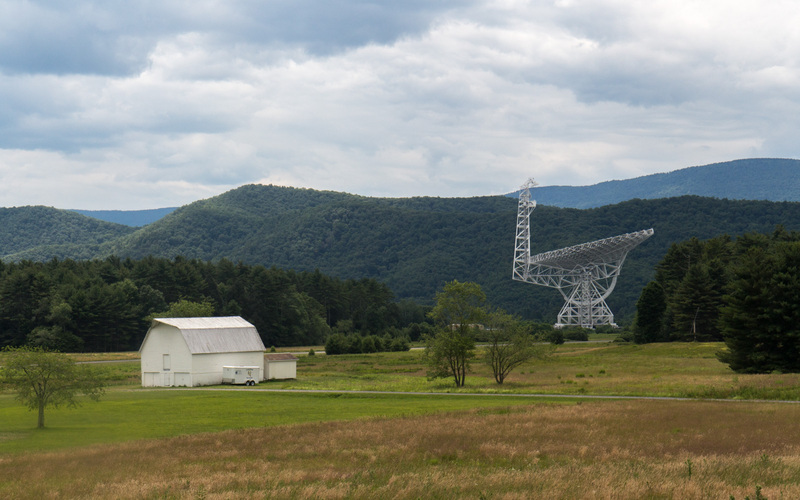 It was easy to see many ridges like Spruce Knob and Shenandoah Mountain, and even the top of the Green Bank Telescope could be seen two ridges away. Another interesting thing up there is the caboose that they renovated into a cabin. If you make a reservation, you can stay there for the night, and hopefully get a good sunrise over the mountain country. It took us two hours to get back down the mountain. 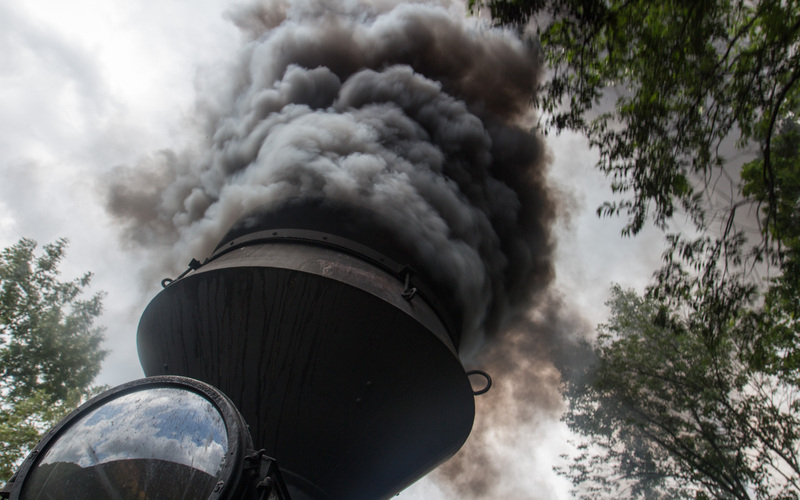 It wasn’t as much fun since we were tired, the brakes were loud, the whistle was louder, and every so often smoke would blow into the car. 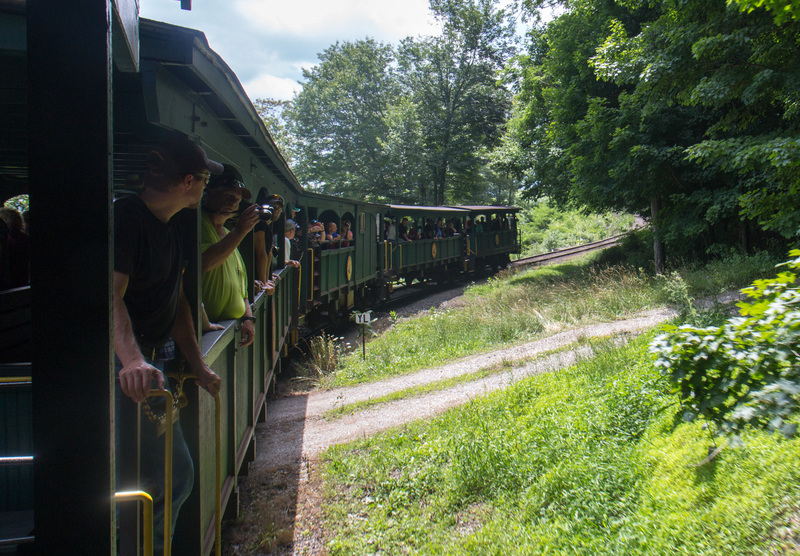 If you ride it, make a reservation for the last car to avoid these things. On our way back, we stopped at High’s Restaurant in Monterey for dinner. The chocolate peanut butter pie was a home run.